Rebecca Abarnabel, a single daughter born into an Orthodox Jewish family, is tired of the lifestyle that her father, Reuven, has forced upon her. She and her mother, Victoria, go on a life-changing journey between worlds. Keren: You crossed the line between "why not" and "why not?" When the cast 'finally' do the song at the very end, it made me even more irritated at the whole thing, they sounded beautiful together, and only did one lousy song. 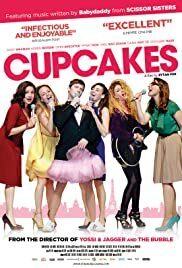 The rest of the movie was involving itself with acceptance on various issues, I guess the song was supposed to be something that makes all of us feel good about alternative lifestyles snd different ways of thinking, BUT I was watching the movie for real music and singing, it did not deliver on this.